Gulf Petrochem Industries Company (GPIC) has reported its exports have been vibrant. GPIC, whose production facilities are in Bahrain but has multi-national owners, achieved its production and export targets for the first half of 2015. A statement quoted GPIC president Dr Abdulrahman Jawahery as saying that the company produced 189,000 tonnes of ammonia, 177,000 tonnes of methanol and 302,000 tonnes of urea in the first six months of the year. Total exports of ammonia, urea and methanol during the period were 465,000 tonnes. 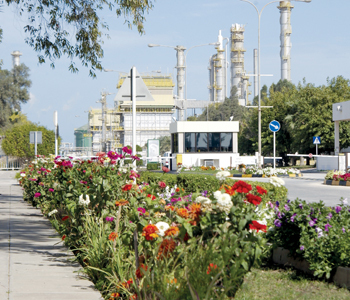 GPIC, an equal stakes joint venture of Bahrain’s National Oil and Gas Holding Company, Saudi Basic Industries Corporation (Sabic) and the Petrochemical Industries Company (PIC) of Kuwait, uses natural gas, available locally, to produce ammonia, urea and methanol. He said the US received the lion’s share of exports, at 41 per cent, followed by Brazil (18 per cent). Turkey was also a significant export market for the company, accounting for 45,000 tonnes. GPIC was able to export all its products and achieve attractive returns, thanks to marketing by its partners Sabic and PIC, he said. The company also achieved 16 million hours totalling 4,814 days without a lost time accident. “These achievements are all the more creditable since they came in the face of challenges and intense competition,” Dr Jawahery said. GPIC is now working on the development and review of administrative regulations to stay on a par with developments in the industrial sector, particularly those specific to oil and gas, he added.